THE MARTINI CHRONICLES: Dresses in a Business Meeting...Yay or Nay? Dresses in a Business Meeting...Yay or Nay? Let me set the scene...I'm sitting at a table during a holiday lunch party with several colleagues...seven women, one man. As we were waiting for the main course to arrive, we began speaking about dresses in business meetings. Specifically, one of my female colleagues questioned whether it is appropriate for women to wear dresses to business meetings. Without question, business suits are always the safe "go-to" apparel when heading to a business meeting, but what happens when you want to try something new? Or something not so conventional? Are dresses and option? Well, of course I had an opinion! During our discussion, everyone at the table agreed that traditional wrap dresses are not appropriate at business meetings. While no one could articulate why these dresses have no place in a business meeting, I reckon it has something to do with visible curvature...let me explain. 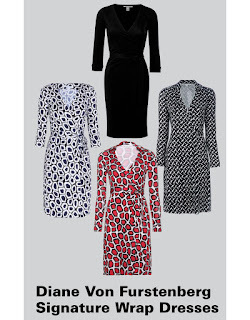 While I do believe that wrap dresses are great to wear in the office and that every Professional Diva should have a few sprinkled throughout her wardrobe, I do think they may be a distraction in a business meeting. Perhaps the wrap dress oozes a little too much femininity? In any event, my colleagues essentially damned the traditional wrap dress from business meeting appropriateness...and I think I agree! DVF is the Queen of the Wrap Dress. 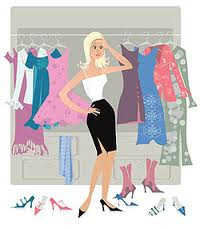 Every Professional Diva should have a couple in her wardrobe. 1. A sheath dress on its own is okay in a business meeting, so long as the dress is not sleeveless. Capped, quarter-length, or long sleeves are necessary if the dress is worn on its own. 2. If the sheath dress is sleeveless, it is okay in a business meeting if accompanied by a blazer. A cardigan is not an option. 3. Traditional wrap-dresses are not appropriate in a business meeting, even if accompanied by a blazer. So that's what we came up with...what do you think? Are dresses in a business meeting okay? Are certain dresses more acceptable than others? Let me know!